After undergoing a lumpectomy and chemotherapy to treat breast cancer at only twenty-seven years old, Angie Conley was cancer-free for seven years. But in 2013, married with a four-year-old daughter and six months pregnant with her second child, Angie received the terrible news that her breast cancer had returned. She courageously faced having a mastectomy to remove the tumor at twenty-nine weeks pregnant and starting chemotherapy only three weeks after giving birth to a healthy baby girl. After battling breast cancer a second time, Angie discovered the cancer had traveled to her spinal cord, brain, and lungs. She remained incredibly strong, through brain surgery, chemo, and radiation treatment; however, her struggle made it impossible for her to work as an educator. 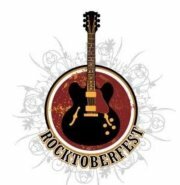 Funds raised at Rocktoberfest were used to help with the family’s mortgage, to offset the high health insurance premiums and medical expenses they faced. Angie lost her fight against cancer on July 15, 2014.